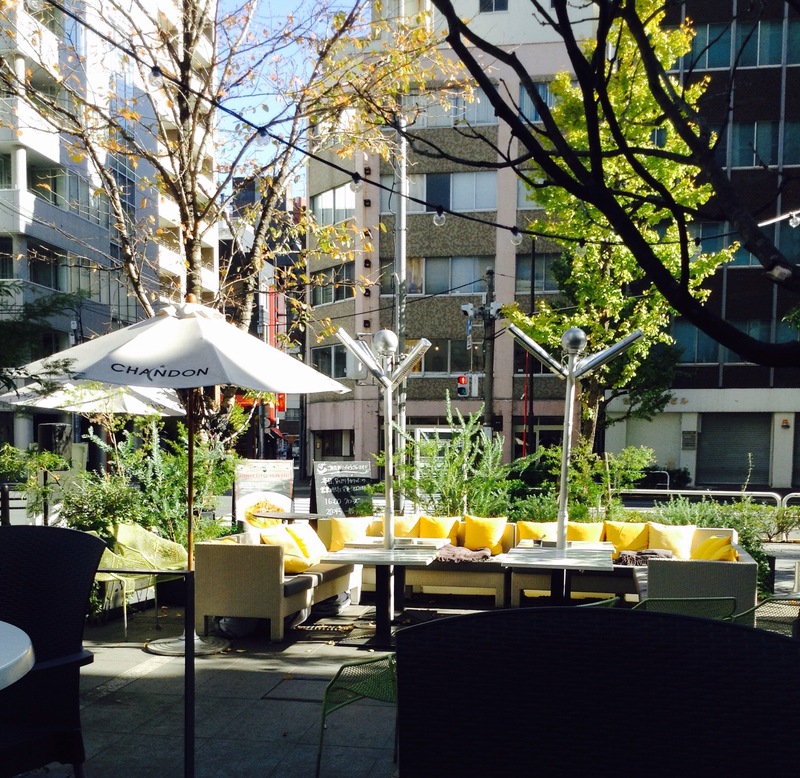 TOKYO – I’m writing this post from an outdoor cafe near the hotel, braving the somewhat cold morning for the sake of atmosphere. It’s my last day in Tokyo and I hate saying goodbye to Arashiland, wondering when is the next time I can come back. Next year’s tour? Maybe. Hopefully. And if Nino hinting about wanting to have a tour during his birthday (June) is anything to go by, then it might be sooner than expected. At least I won’t have to pack autumn/winter stuff that takes too much of my luggage space. If for anything, idols are the best ambassadors of their own countries, making us fly thousands of miles just to see them. This is very true especially for Arashi since Japan is the only place where we can see them. If the mountain won’t come to Muhammad, then Muhammad will go to the mountain, deshou? But any Arashi fan would know, seeing them in the flesh requires luck, fate, a sprinkling of rainbow pixie dust and help from fellow fangirls. Having fellow fangirls as friends is like having a support group and it matters. A lot. I realised that most especially in this trip. Fangirl friends know the stress I went through getting these, including the CNBLUE ones, which had something more to do with technical issues (piece of advice: don’t mess up with the Japanese system, even if it’s just a little change, like address). Fangirls’ help really matters, whether it’s translating Nihongo, drafting an email in Nihongo, searching the net and even just cheering you on. Of course, you also have to do your part. Fangirling is not just about sharing the same interests and spazzing together during good times, it’s helping each other out during trying times. That’s when fangirls become friends. It helps to know you are not alone because, yeah, no fan is an island. So thank you to my JBoice “sponsor” @azoruix, cheerleader @jhingnigami, and my concert/travel buddies @ailamarie, @slow88 and @wintercherub, and most especially to my Japanese friends M-san and A-san. The story of this Super Japonism Tour won’t be complete without them. And to N-san, arigatou for this wonderful gift. 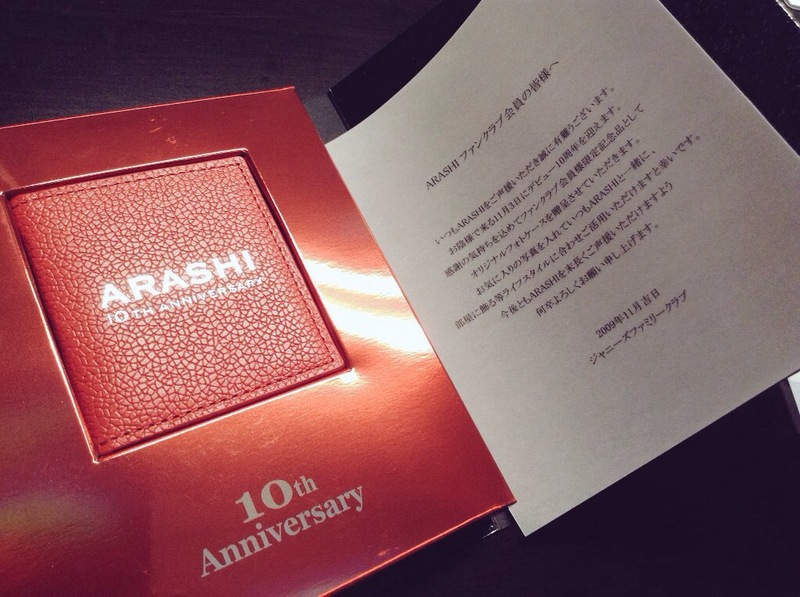 It’s a coincidence that it’s also my 10th year as an Arashi fan. Throughout my two weeks in Japan, I kept seeing Coke’s Christmas campaign and loved the song. I heard it again yesterday while in Tsutaya Shibuya so I asked the staff what the name of the song was. It’s ハピネス by AI. I find the lyrics apt. Thank you friends. Thank you, Japan. Thank you, Arashi. Thank you, CNBLUE. Thank you, fellow fangirls. Fangirling is more fun when you do it with friends. Because of this post I looked around the internet looking for an expression to state an agreement, but the internet cannot give me satisfactory result. Like, really very much agree that make me keep nodding my head yet I still don’t know what to say, because “I couldn’t agree with you more” still cannot express this level of agreement. LOL. Fellow fangirls, especially those who know how to cheer on the boys in a positive attitude, and can make me throw off my reasoning and say, “Let’s go crazy and book plane ticket to Japan to watch them!”, are just LOVE LOVE LOVE. And because love is so sweet, it definitely brings happiness around! And what’s the point of fangirling if you didn’t feel happy? We may not have exact similar experience regarding this fangirling thing. But I kind of understand it, maybe a little bit? 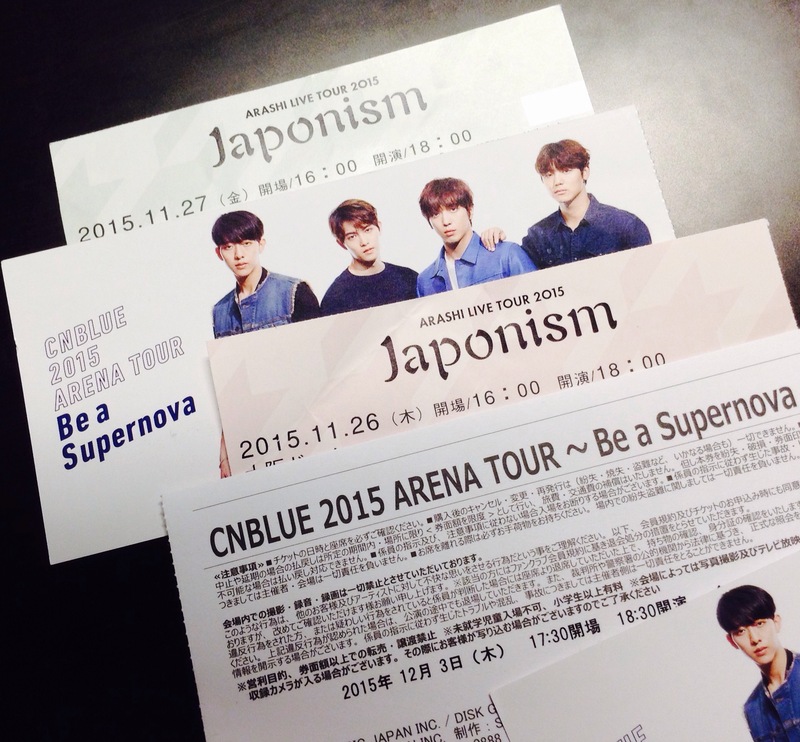 😀 I made my first trip to Tokyo last year by myself because of CNBLUE. And last week I returned to Japan, to watch them in Osaka. LOL. I realize I could not do it by myself. I also have fangirl friends who helped “motivating” me, and also my Japanese BOICE friends who contributed a lot in helping me acquiring concert ticket. I am grateful for them. Yes! To everything you wrote. I may not have a similar fangirling experience as you do as mine doesn’t involve music, but it’s close enough. These wonderful fellow fans prompted me to fly across the globe to meet a bunch of likeminded people I’d never seen in the flesh. *g* I now consider many of them as true friends, though we don’t meet that often. I’m forever sad that RL issues have made me miss the meet-ups of the past couple of years. They are always so much fun! I’m also really thankful for all the assistance and generous sharing I’ve experinced over the years I’ve been in this particular fandom. I believe my life is much richer for it. Love the lyrics of the AI song! and the time spent with fellow fans is always short! I love conversations that are not just mere spazzing but sensible ones. So lucky, that you got to go for Oh-chan’s birthday! And that you got to go for two dates 😀 I managed to hit for one of the Tokyo shows this year, and reading the blogs of people that went to the other shows, I really can’t wait. Especially the meeting my other friends part, which to me is part of the best things about going to Japan for Arashi concerts. one thing I really love about Arashi concerts is the atmosphere. the fans are just so friendly and bursting with positive vibes! it’s really a matsuri.